To gain some insight into what works best for users across different audience groups, we looked at 25 posts from five sectors and came up with some conclusions about their effectiveness from a variety of angles. 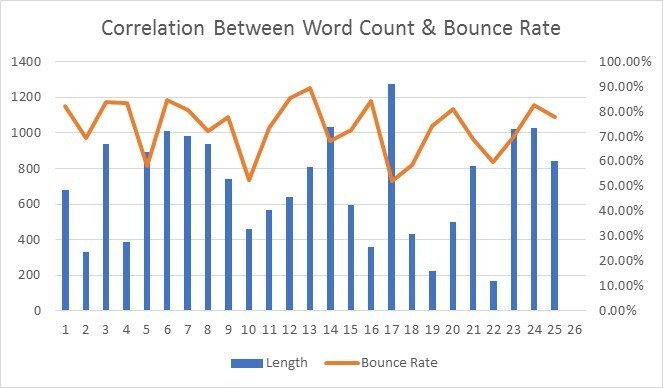 Some of the shortest articles in our small-scale study had the lowest bounce rates, indicating that visitors could be less likely to lose interest if they haven’t had too much reading to contend with. Significantly though, there was one blog post, from the travel sector, which bucked the trend in that it had both the highest word count and the lowest bounce rate. For that to happen it would take a highly engaging and persuasive article to keep visitors on the site for longer. 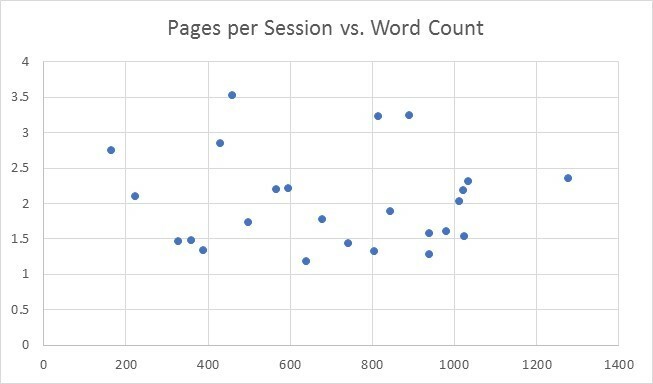 Some of the shorter articles saw visitors consuming a high number of pages per session. 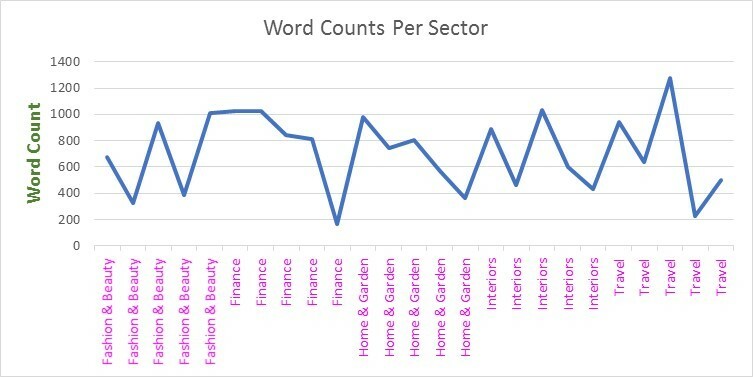 An interiors blog had the highest number of pages per session at 3.53, with a word count of just 460, compared to 1,278 words from the longest blog. 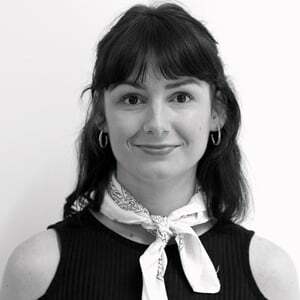 If visitors feel they have gleaned the information they need within a shorter amount of content, then it follows that they are more likely to feel inspired enough – with little time already invested – to engage with the rest of the site. The shortest blog by far was a finance article with just 166 words, and this was also in the top five of most pages per session. However, right behind that were two blogs from the travel and interiors sectors (with the two highest word counts of 1,278 and 1,033 respectively), resulting in a respectable 2.35 and 2.31 pages per session. So if the content is engaging enough, visitors will be keen to consume more. The second-shortest of all the blogs in question, from the financial sector, actually resulted in the second-longest session duration. 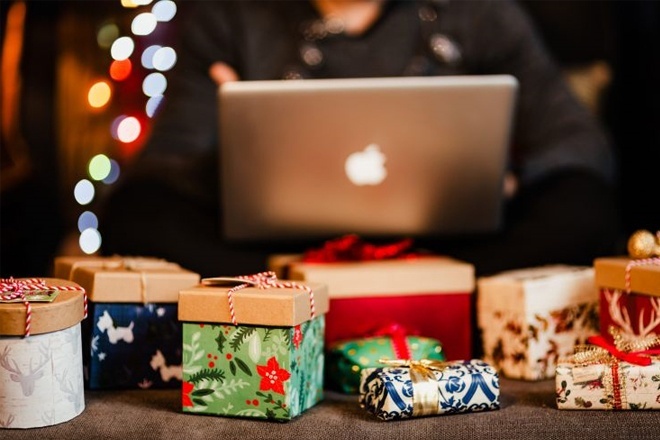 This could indicate that a less intimidating-looking blog appears more comprehensible to readers, so they are taking the time to consume it all and thoroughly consider its content. 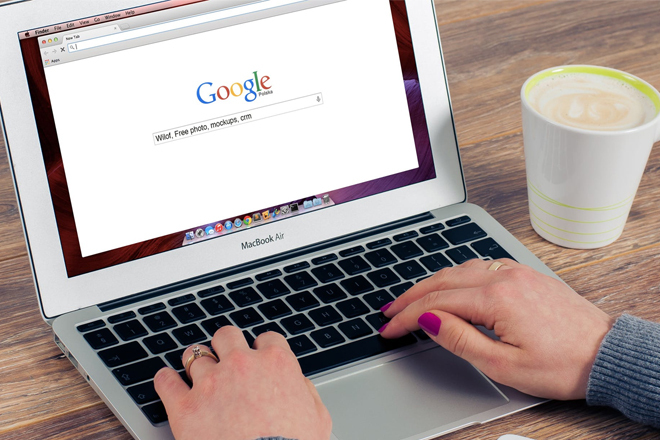 While we’re often told that the more content we create, the better for Google to assess its quality and relevance, time-conscious readers may be deterred by being presented with a huge amount of text. Of course, it’s important to remember that it would depend on what exactly that content is. More thought-provoking subject matter would naturally take longer to process, leading to a longer session. Inevitably, different readers will have different needs, from the type of product/service they’re considering and the amount of information they require, to the action they will be taking at the end. It is logical that a fast fashion brand’s word count would be lower. These brands typically produce entertaining, aesthetically-pleasing content which relies heavily on beautiful imagery (more on that shortly) to inspire the reader into making a low-commitment transaction which doesn’t require too much deliberation. A financial services firm, on the other hand, would be more likely to touch on weightier subjects within their content, which will theoretically influence the reader into making a transaction of more significance. 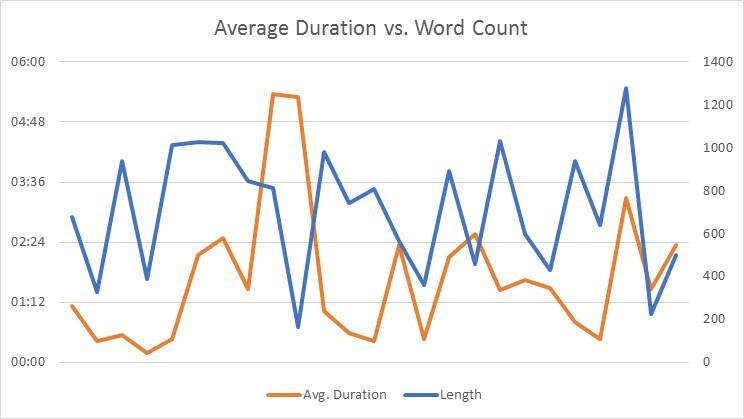 The fast fashion examples, which had the lowest average word count, saw most of their average session durations come in at under 30 seconds, with only one taking over a minute. This would make sense for the transient nature of the industry and the resulting fast pace with which customers reach the conversion stage. 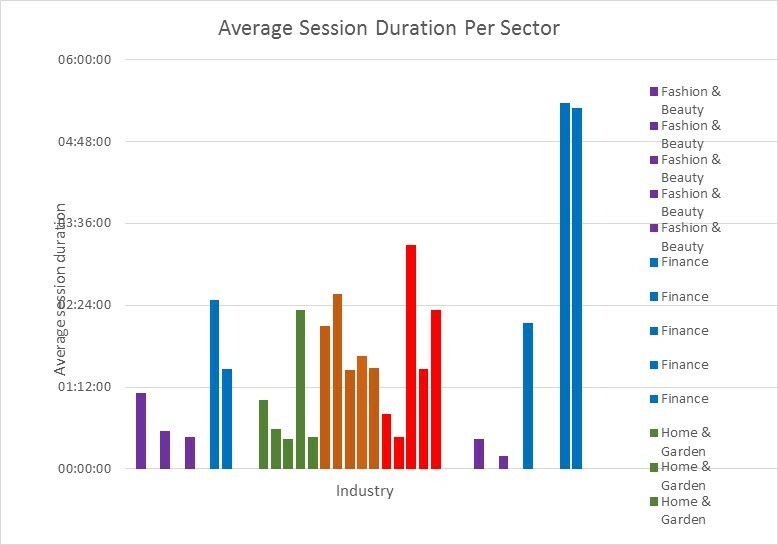 Interestingly, the two highest session durations were from the financial sector, corroborating the theory that this type of industry attracts visitors who will invest more time into doing research before deciding to convert and will therefore commit to a lengthier read. The article with the longest average duration (5 minutes 22 seconds) is well structured with coloured subheadings and further broken down into numbered bullet points, so it looks easily digestible. The lowest bounce rate came from the travel sector at 52.17%, though this doesn’t appear to be typical of that industry as the full range varies quite widely depending on the content. The interiors blogs all have rates of between 52.63% and 72.6%, which is very good (Google says anything over 70% is a pretty typical bounce rate for blogs). This could well be attributed to the naturally longer consideration period relating to redecorating, which requires quite a lot of inspirational content to help make a decision. 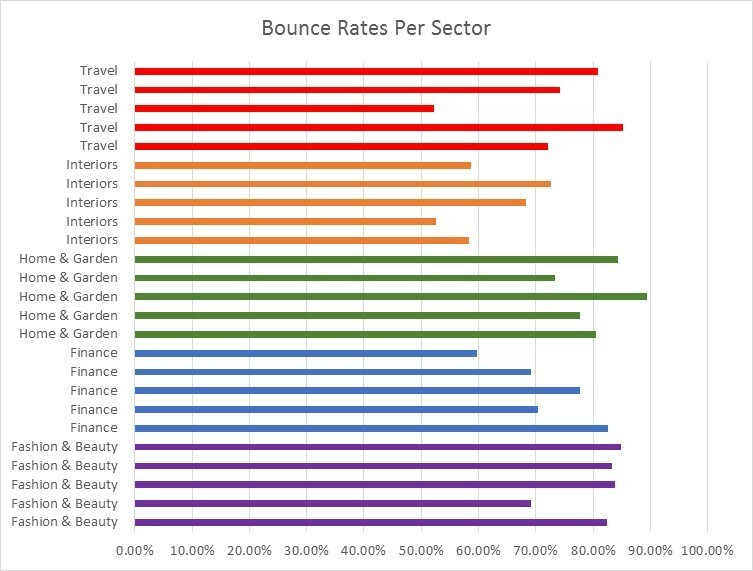 The highest bounce rate is from the home and garden sector with 89.47% – incidentally this also has the lowest average duration at 26 seconds. 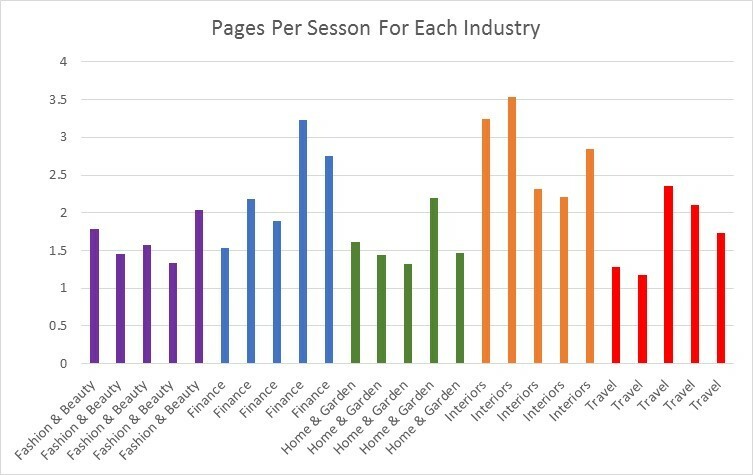 Continuing the observation about the interiors customer journey involving a longer consideration period, this seems to be further supported by these blogs seeing the highest number of pages per session at 3.53 and 3.24, with the remaining three also in the top eight. The lowest number of pages per session came from the travel sector with 1.18 and 1.28, which could be explained by consumers requiring more specific information about certain destinations or events they already have in mind. We should also point out that a blog with a high bounce rate or low pages per session isn’t necessarily “bad content”. 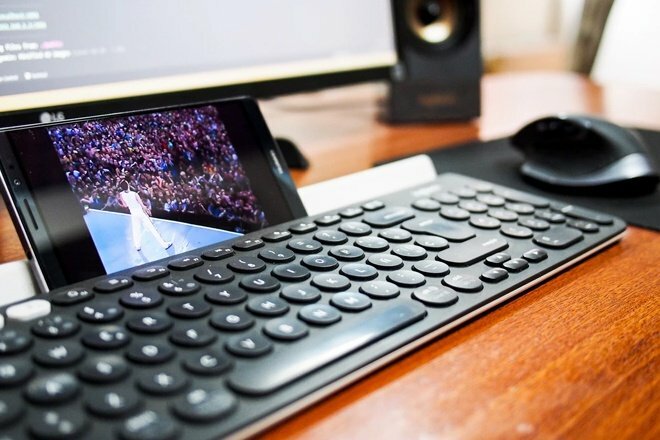 It may simply have succeeded in answering all the user’s questions. As mentioned earlier, some industries will naturally rely on images more than others in their blogs. 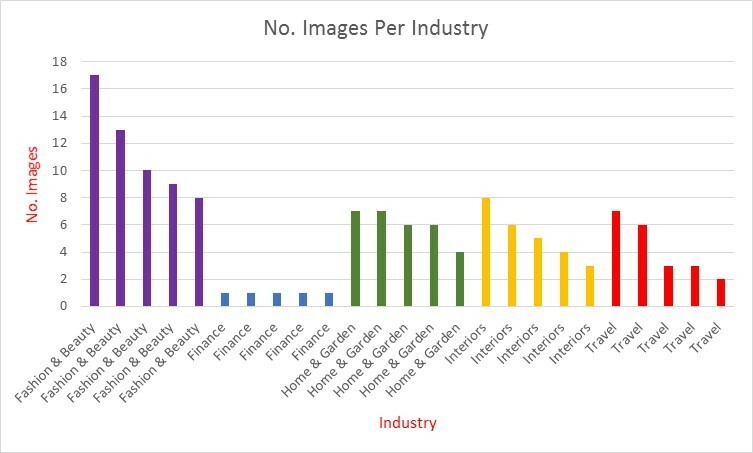 The five highest image counts came from the fast fashion sector (between eight and 17), which is of course necessary for such a visual industry, with the five lowest in the financial services blogs (just one in each). 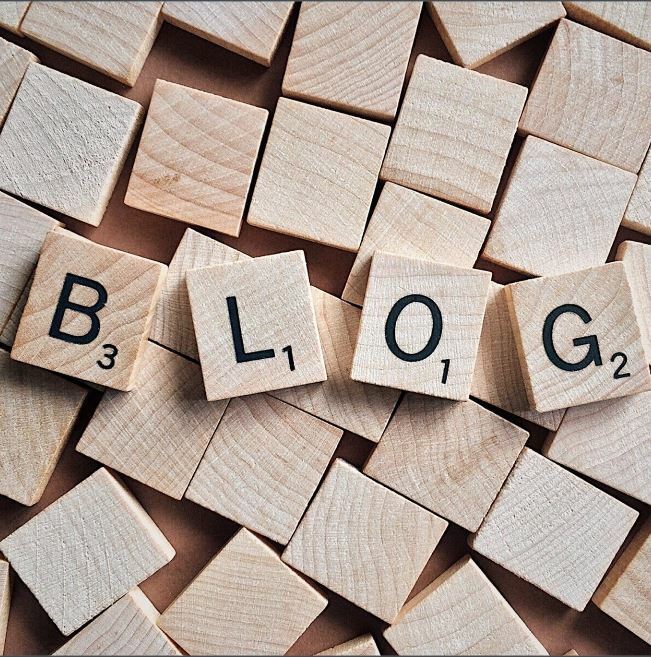 Around the middle are where the home and garden, travel and interiors blogs tend to fall, with perhaps more scope for their articles varying the need for punchier visual content or more in-depth written content. The blogs with the highest amount of images tend to be around the shorter-medium amount of words, which would make sense for content which relies more on visuals than written copy. 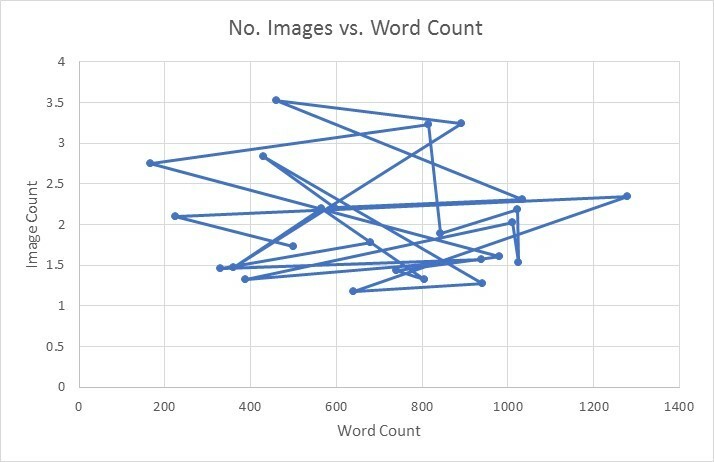 Likewise, four of the five blogs containing just one image have word counts of 814-1,025, which verifies the assumption that copy-heavy content is geared towards less visual topics. The previously-mentioned travel article with the highest word count and lowest bounce rate actually only featured three images, which is interesting for a sector which does tend to use aspirational imagery to inspire customers into converting. It isn’t always necessary to keep visitors engaged by presenting them with lots of visual content; it can be achieved with informative and interesting copy too. 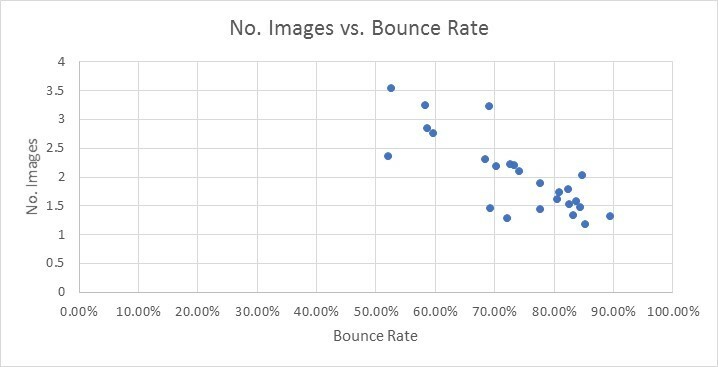 The blog with the highest bounce rate features six images, which is around average in our study, and this amount doesn’t vary too widely across the other articles with the highest bounce rates. In some cases this could mean that visitors don’t feel suitably inspired enough to interact with the rest of the site, and would be better engaged by seeing more visual content. However it should be mentioned that there was quite a high word count in this particular blog with no CTA and the content was unrelated to the product they offered, so the high bounce rate was understandable. 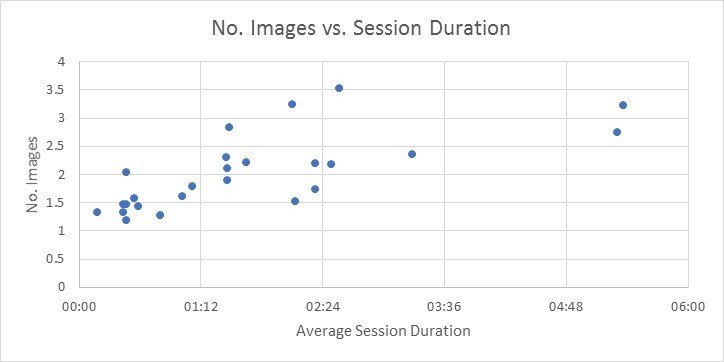 The blog with the fourth-highest number of images actually resulted in the lowest average duration, at 11 seconds, and the second-lowest amount of pages per session, at 1.33. Though visual content may be quicker to consume, that doesn’t necessarily mean it is enough to make visitors engage with the rest of the site. This is further supported by the fact that the blog with the highest number of images, at 17, had one of the highest bounce rates, at 82.44%. 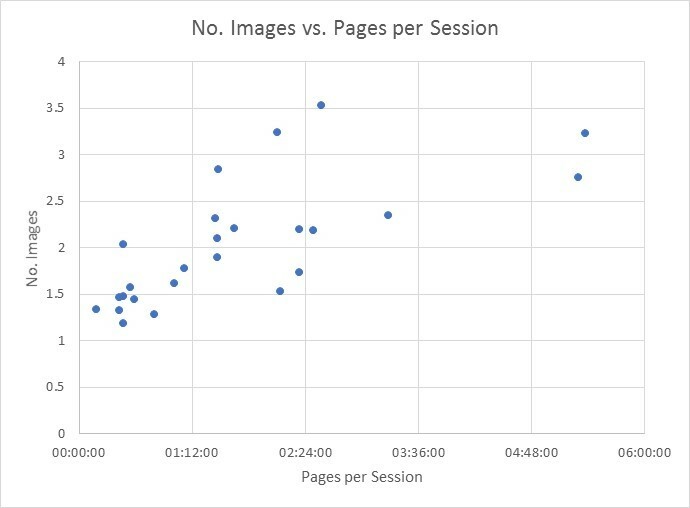 The blogs with the highest and lowest amount of pages per session both featured six images, while the blog with the third-highest amount of pages per session featured just one image, indicating that visitors’ motives for interacting with the rest of the site can’t be identified solely via the type of content on the page. It is more likely to be down to the type of service/product they are looking for, how persuasive the content is and how far down the marketing funnel the the customer is at that stage. As a small-scale study, this article isn’t designed to provide cast-iron actions on blog length and structure. Arguably the most important takeaway here is that good content can take many different forms: a 166-word article can be just as engaging as a far longer blog provided it directly meets the user’s needs; choosing just a couple of high-quality, relevant images can make your content more visually compelling to the reader than opting for a much higher quantity of uninspiring stock photos. Need a hand creating engaging content which converts? We’d love to help! Get in touch today for a chat about how we can take your content to the next level.